Play for Free Spins and Bonus prizes! Collect up to 700 Free / BIG Spins and a share of €10,200! Did you were one of the lucky players last week to score the three Wilds on the middle pay line on Joker Pro for the maximum win of 1,000x bet?Then get ready for another thrilling slot from the Netent portfolio at Betsafe as for this week they have selected the ever so popular Twin Spin, a true classic video slot with syncing reels that has amassed a huge fan base since its release in December 2013. Qualifying players can collect again this week a huge amount of Free Spins and BIG Spins on this slot. For starters players can wager on desktop or mobile to earn up to 700 Free / BIG Spins while at the same time taking part in a tournament where the TOP100 will win bonus cash of up to €400. 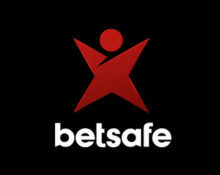 We are heading into a new episode of this fabulous two-tiered campaign at Betsafe which is running weekly from Monday to Sunday. Courtesy of the “Game of the Week”, players can look forward to up to 700 Free Spins weekly and take part in a fair tournament where the winners are determined by the highest win over 20 consecutive spins, irrespective of the bet size. Players can collect a total of 700 Free and BIG Spins on the Game of the Week during one promotional week. The required wagering is accumulated during the active week. Once the stage requirements are met, the Free Spins can be claimed by opening the specified slot of the week. Wagering requirement is 35x FS winnings within three days. Players registered or residing in Canada, Ecuador, Nicaragua and Panama are not eligible for this promotion. OPT-IN on the promotion page and play on the game of the week with minimum €0.20 per spin. Get one of the highest average earnings over any 20 consecutive spins and finish in the TOP100 for a share of €10,200 in bonus cash. This week’s tournament will end at 23:59 CET on 1st October 2017 and prizes credited the following day as bonuses with a 35x wagering requirement.